The hoverboard craze that swept the nation in 2015 and 2016 landed more than 26,000 kids in hospital emergency rooms, according to new research. Millions of the self-balancing scooters were sold before reports of batteries overheating and bursting into flames prompted widespread recalls. But it turns out that falls — not fires — were by far the most common cause of injuries. "Hoverboards have a very low center of gravity, increasing the risk of falls," Dr. Robert Glatter, emergency physician at Lenox Hill Hospital in New York City, told CBS News. "Riding one safely requires a good amount of core strength to maintain your balance. It often looks a lot easier to ride one than it really is." The study, published in the journal Pediatrics, analyzed data from across the country regarding injuries from hoverboards in children and adolescents younger than 18 between 2015 — when they were first introduced to the U.S. market — and 2016. During that time, 26,854 hoverboard injuries were treated in U.S. emergency departments. 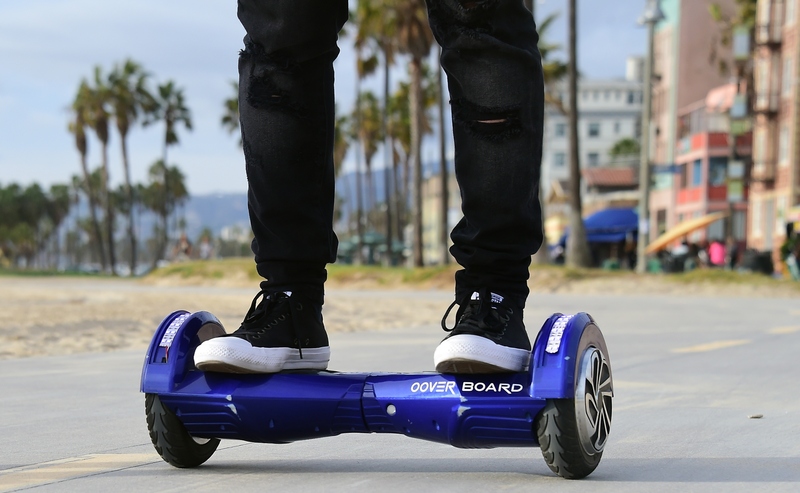 The highest number of hoverboard injuries occurred in 12-year-old boys. Overall, boys accounted for 52 percent of cases and girls 48 percent. The wrists were the most commonly injured body part, followed by the forearms and the head. Fractures were the most common diagnosis, accounting for 40 percent of cases, followed by contusions and strains/sprains. The study also tracked the number of injuries involving traditional skateboards. During the same two-year time period, skateboard injuries sent 121,398 kids under age 18 to the E.R. Three-quarters of them were boys. Most patients were treated and released, but 3 percent of those suffering hoverboard or skateboard injuries were admitted to the hospital. Head injuries accounted for 14 percent of hospital admissions related to hoverboards and 35 percent of admissions for skateboard injuries. While the majority of skateboarding injuries occurred on the street, the researchers found most hoverboard injuries occurred at home. Glatter, who was not involved in the study, said the risk for injuries is significantly increased when a person is multitasking and therefore distracted while riding a hoverboard. "I continue to see young teens with head and wrist injuries in the E.R., often the result of being distracted by using a smartphone and listening to music while riding a hoverboard," he said. In 2016, more than 500,000 hoverboards were recalled after dozens of reports that their lithium-ion batteries had burst into flames. In March 2017, a 2-year-old girl died and two other children were injured in a Pennsylvania house fire that officials said was sparked by a hoverboard battery. However, the study of 2015-16 incidents identified only three cases of burn injuries in children — none of which were from the toys' malfunctioning batteries. In two instances, kids were burned when they rode a hoverboard in the kitchen and collided with a pot of boiling water. The other suffered a friction burn after a hoverboard ran over the child's finger. The American Academy of Pediatrics advises against allowing children under age 16 to operate unlicensed motorized wheeled vehicles. Glatter also says he does not recommend allowing young people to use hoverboards at any age. "My personal feeling is that they are unsafe, and I would advise parents against allowing their teens and children to ride them," he said. "That said, I would advise caution if you do allow your child to ride one. It's essential that they wear an appropriate and well-fitted helmet, as well as wrist guards with padding to reduce the risk for injury."